ASBA Tennis Court GOLD AWARD! 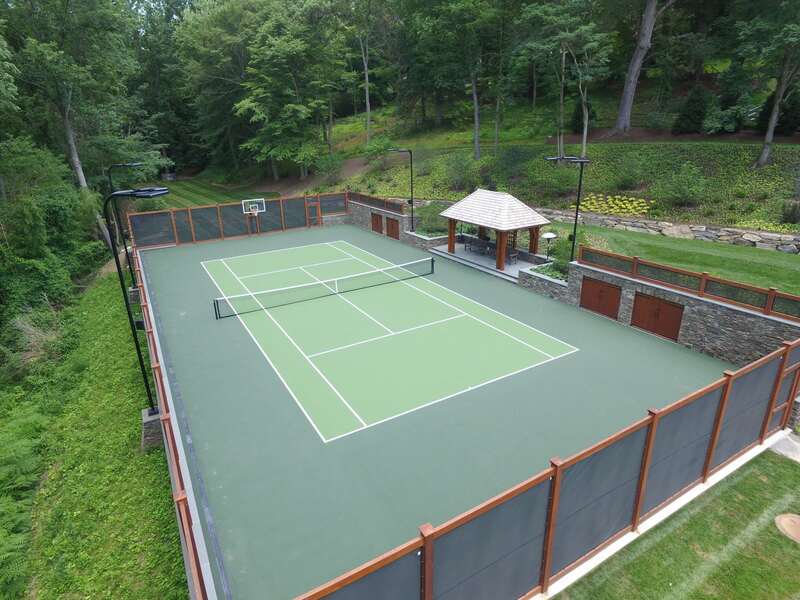 The sports court we recently completed for a residence in Gladwyne, Pennsylvania has won the American Sports Builders Association Tennis Division’s Gold Award for the Outstanding Residential Tennis Facility of the Year! Nestled into a steep hillside, this sports court was located, oriented, and sized to maximize its usability. 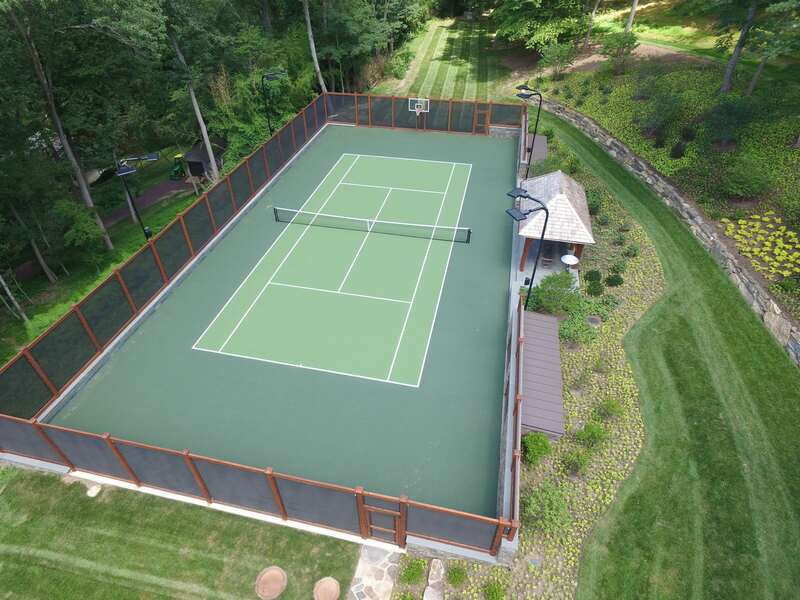 Designed to accommodate tennis, basketball, and even ice hockey, our client is able to enjoy their court year-around. All of the equipment is hidden away in custom storage sheds that were built into the retaining walls on the uphill side of the court. Centered in the space is the pavilion that was designed by Archer & Buchanan Architecture, LTD. and features custom woodworking details, heating for winter use, lighting for evening use, and outdoor speakers. The steep slopes of the site made access difficult for construction vehicles and materials, creating a challenge for design implementation. Due to this obstacle, many of the design elements were built on-site. Working every step along the way with Pro-Sport Construction Inc. we were able to navigate the design challenges and provide our clients with a great space that they can enjoy for the years to come. Construction is on-going at this Gladwyne residence – check back soon for more imagery of this one-of-a-kind property! previous post: A True Grand Entrance – NEW PROJECT! next post: 2017 NJ ASLA Merit Award!